Obviously, chaos means the absence of order. But I have never thought about applying this insight in my everyday (and thus professional) life until now. Usually, my stress level rises when I’m confronted with lots of unknowns or dynamic components of a task, e.g. when encountering an urgent problem without knowing its root cause yet. What immediately helps is to look for the next possible step towards the solution and eventually map out a way to the final solution. If at first, I decide to complain or shift the blame to others without thinking about what I can potentially contribute, then a lot of time effort is wasted. In the end every problem is solvable (even if it simply means to inform the right people about it) — it’s just a matter of prioritization and being brave about stepping in and/or speaking up. A similar effect of “relaxation through structure” can be achieved by planning ahead, e.g. by structuring the upcoming tasks for the next week or the upcoming day. That way there will be fewer surprises and I won’t feel overwhelmed with the pile of tasks I keep pushing in front of me. Plus, I can easily answer people when they ask for an ETA of their request instead of saying “it’s in the backlog”. If I work longer hours during the week and start to reduce my sleep time, I of course will experience the direct effects when I get up in the morning and sometimes sleepiness throughout the day. But what I don’t immediately notice: Due to this sleep deprivation my performance (at work) also deteriorates! I tried to observe this carefully during the last weeks, and I can testify that by forcing myself to go to bed earlier and sleep longer I was able to to boost my performance and increase my motivation and overall happiness at work! It sounds like a cliché but I believe many people don’t take care of themselves and their bodies as much as they probably should. Especially in Germany people are afraid to take regular breaks (aside from the mandatory lunch break) during work hours, maybe due to a culture of “efficiency”. What’s mostly not taken into account is that these breaks usually make you more efficient on moments when it actually matters (it has been proven that people can only focus for a limited time span and the first countries are taking action against that). Berzbach suggests taking around 10 minutes of break time in every hour since the brain can only stay focused for around 40 minutes anyway (which goes along with productivity techniques like Pomodoro). I haven’t achieved that amount of break times yet but I can definitely confirm that during “real” breaks (i.e. leaving your desk and taking a walk, even if it’s just a trip to the office kitchen or the nearest bakery) I collect so much energy that solving problems and tackling complex tasks becomes an easy thing again afterwards. And it can even lead to leaving the workplace with some energy left instead of feeling like an empty shell without purpose when arriving at home! … because employers will usually have no problem replacing you (although they should of course take care of their employees and prevent burnouts in the first place at any cost). So if you ruin your inner workings by working too much, you won’t just lose your job but also the majority of your private life. Interestingly, people who experience burnouts are usually relatively perfectionistic and not willing to share responsibilities with others who might not be as good at solving the task at hand. Taking care of yourself also means being able to delegate and trusting towards other people (and speaking up when situations aren’t developing as expected — better sooner than later). These are just a few examples that stuck to my head. 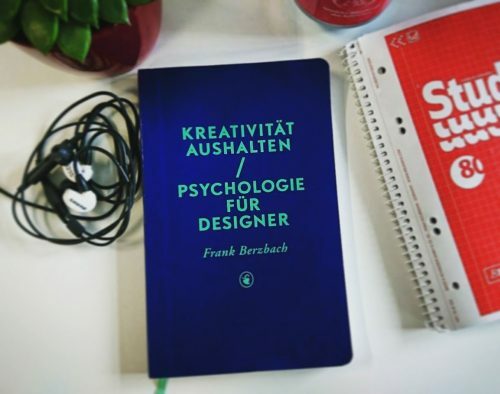 “Maintaining Creativity” is not a guide book per se but it invites you to think about many situations from a new perspective and above all take care of yourself in order to stay productive and happy. And I want to encourage every professional in a similar work environment to at least take the time to inform yourself, experiment with work hours or break times and also exchange with others about those topics (especially if something feels off). Let’s stay productive, creative and healthy!